Foley House alumni awards are presented each year to two of our most dedicated and distinguished alumni. Nominations are reviewed annually during the spring, and awards are presented during the annual Foley House Awards Recognition Dinner in the fall. The Indiana University School of Optometry Foley House Distinguished Alumni Award is presented to an alumnus/a who has spent significant time dedicated to excellence in optometry, has represented the School well throughout his/her career, and has reached pre-eminent status in the field of optometry. Nominee must have earned an O.D. at the IU School of Optometry. Nominee must demonstrate excellence in optometry. Current faculty and staff of Indiana University are not eligible to receive this award. Nominations are reviewed annually during the spring and honorees are selected by a committee convened by the IU School of Optometry Alumni Board of Directors. The award is presented during the Annual Foley House Awards Recognition Dinner held in the fall. To submit a nomination, please complete each section of the form below. The nominator must provide all materials pertinent to the nomination. The Selection Committee will not conduct further research on behalf of any nominee. All nominations will be valid for the next two successive years. The Indiana University School of Optometry Foley House Basement Key Award is presented to an alumnus/a who has demonstrated exceptional dedication and/or service to the IU School of Optometry. Recipients will be listed on the Foley House door on the second floor of the school. Nominee must demonstrate exceptional service and/or dedication to the IU School of Optometry. Nominations are reviewed annually during the spring by a committee convened by the IU School of Optometry Alumni Board of Directors and recipients are announced at the annual AOA (American Optometric Association) meeting. The award is presented during the Annual Foley House Awards Recognition Dinner held in the fall. To submit a nomination, please complete each section of the form below. The nominator must provide all materials pertinent to the nomination. The Selection Committee will not conduct further research on behalf of any nominee. All nominations will be valid for the next two successive years. 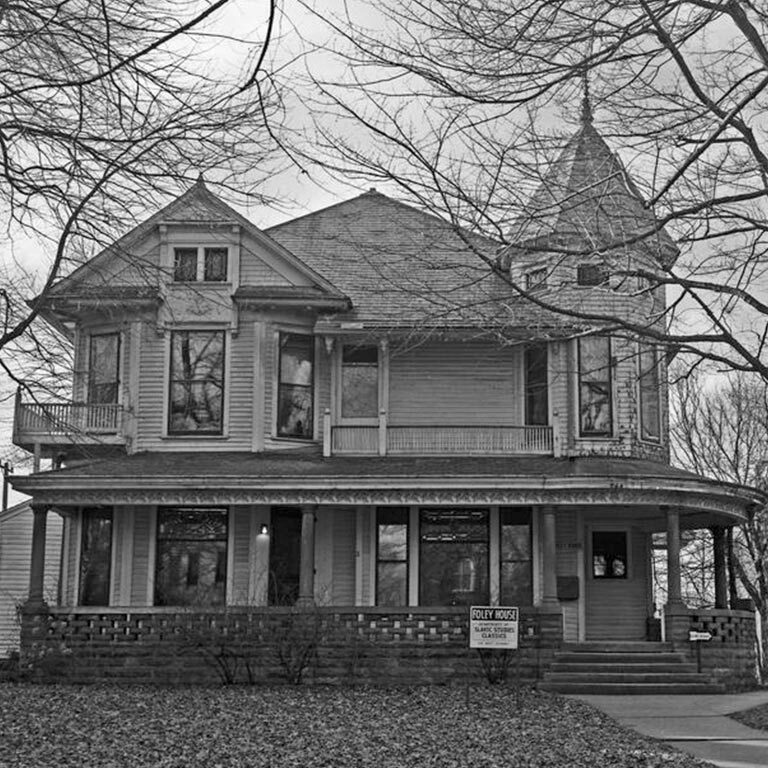 Located at 744 East Third Street, the Foley House served as the IU Optometry Clinic for ten years before the present building was constructed. Beginning with the first award in 1976, a Foley House Basement Door Key Award has been presented each year to our most dedicated and distinguished alumni. The school added a second award, the Foley House Distinguished Alumni Award, in 2015.